WILL A WORK-LIFE BALANCE EVER BE ACHIEVABLE? According to a recent survey by The Guardian, 43% of teachers are planning to quit the profession in the near future due to ever-increasing workloads. 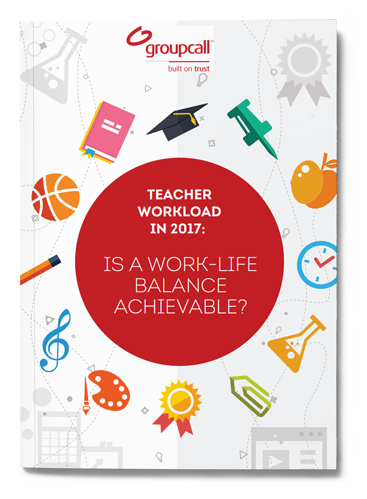 That's why here at Groupcall we have conducted a new survey across 2,497 classroom teachers and senior leadership team (SLT) members to help try and understand the core of the increased workload problem and what can be done to help manage the mounting expectations.